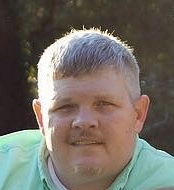 David Lee Nolan, 36, of Phenix City, AL passed away Friday, March 22, 2019 at Piedmont Columbus Regional in Columbus, GA.
A celebration of life service will be held 3:00 pm EST Wednesday, March 27, 2019 at Vance Brooks Funeral Home in Phenix City, AL. The family will receive friends Wednesday afternoon from 2:00 to 3:00 pm EST, one hour prior to the service, at the funeral home. David was born in Columbus, GA son of Calvin L. Nolan and the late Deboraha Wood Nolan. He worked as a Construction Superintendent for United Wall Systems. David loved fishing and was a huge Georgia Football fan. Above all, he loved his family and friends. Other than his father, he is survived by his loving wife Myra Dykes Nolan of Phenix City, AL; a daughter, Madison Leigh Nolan of Phenix City, AL; a sister, Katherine Nolan of Phenix City, AL; two brothers, Brandon Boswell of Phenix City, AL and Charles Posey and wife Heather of Smiths Station, AL; four nephews, Hunter Dykes, Chandler Dykes, David Pittman and Landon Dykes; other extended family and numerous caring friends.